When Clients Become Family Friends: The Kim Project After working closely with clients and their families over the course of many years, our clients begin to seem more like family. At King Iron Works, we value the strong bonds and connections we have built with our loyal clientele. It is an honor to continuously be invited into the homes of the wonderful families we have been fortunate enough to work with. 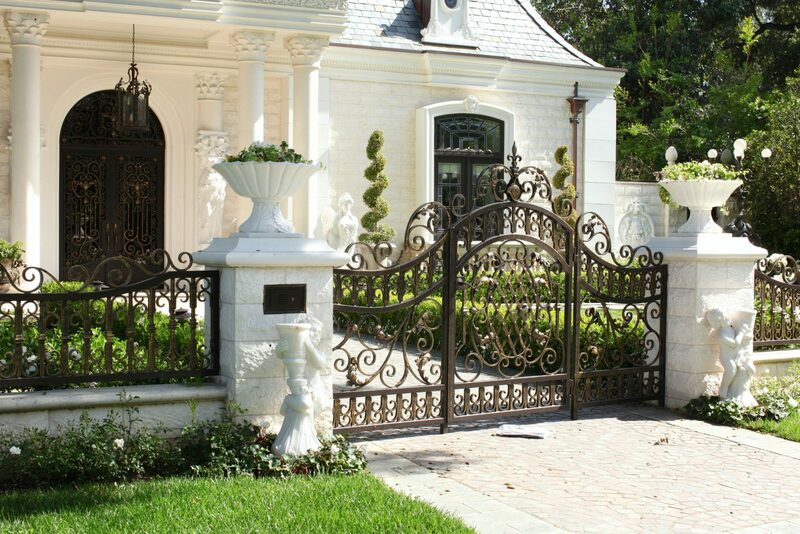 Whether they are looking for unique and luxurious iron gates, doors, iron railings, or other decorative accents, our devoted customers trust our dedication to bringing their unique visions to life and providing the finest quality handcrafted ironwork every time. The creative minds and artisans at King Iron Works provide unmatched workmanship and precision on every project, no matter the size or complexity. With a combination of traditional and modern means of welding, our clients can take comfort in knowing that they will always be receiving the finest quality uniquely customized and hand forged wrought iron for their homes and businesses. La Canada homeowners, Mr. and Mrs. Kim have been returning customers for many, many years. We have built an extremely close friendship through the custom designs we have created for many properties they own in the La Canada Flintridge area. 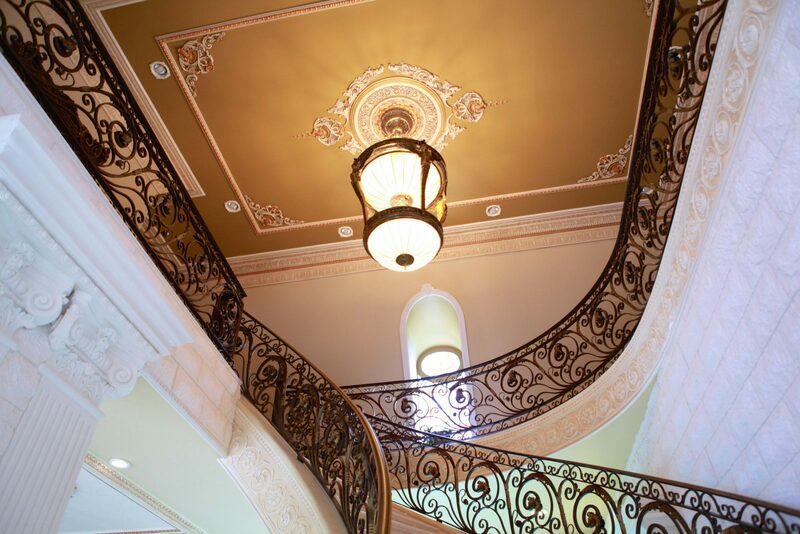 Many La Canada residents have trusted King Iron Works when looking to add custom iron work to their homes for safety and a luxurious aesthetic that parallels the homes within the beautiful city. 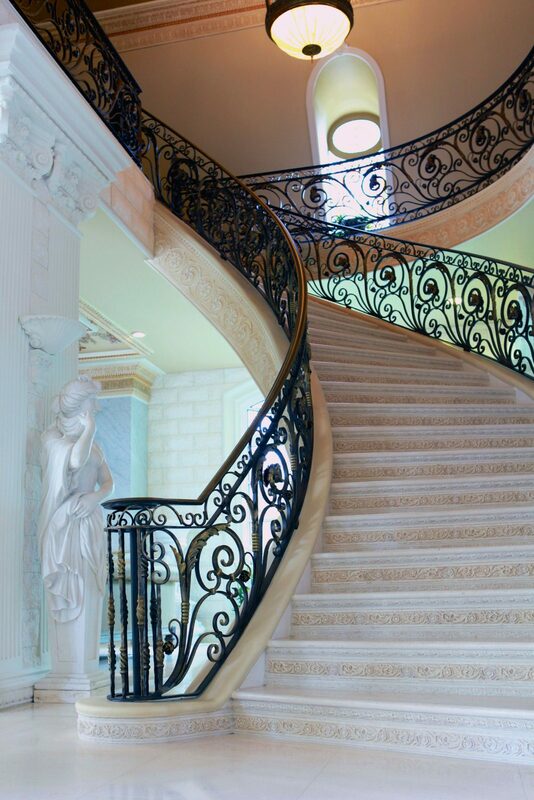 Mrs. Kim has not only been a pleasure to work with through the years, but she has also been willing to open up her doors to other clients for a walk through, so they could see and experience the custom iron designs we have created throughout the properties. The support, referrals and continuous recommendations are extremely appreciated and valued by our team. Mrs. Kim has become a family friend through the years. She has even attended our family events and celebrations. 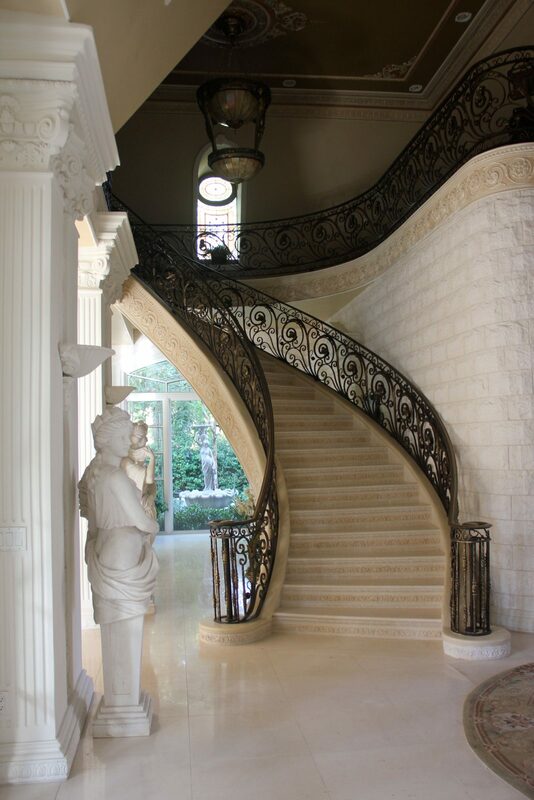 Amongst the many projects we have worked on for Mrs. Kim, some of our designs have included extremely ornate and intricate interior stair railings, front door designs, chandeliers, exterior fences, exterior pedestrian gates, and more. The Kim home is undoubtedly one of our showcase projects. You can visit the video section of our website to see a video testimonial and the many custom iron details throughout the gorgeous La Canada property we have featured. The detailed iron front door design is from our Stately Door Collection. After working with Mrs. Kim for so many years, she trusts the King Iron Works team with the design process and does not provide many requests or details for her projects. She trusts our designers and artisans and leaves the creative process up to us after telling us what it is she needs. Loyal clients like Mrs. Kim have familiarized themselves with the level of quality and dedication we provide on every design and project. Our clients can rest assured knowing that the personalized wrought iron products exceed industry standards and feature expert craftsmanship and time tested designs. Quality and customer service are never compromised at King Iron Works.